Scottish Golf’s membership has voted in favour of a resolution to increase the per capita fee at a General Meeting held at the Stirling Court Hotel tonight. The resolution was passed with a majority vote of 60.2%. The increase from £11.25 to £14.50 will take effect from January 2019 and will be frozen until the collection of subscriptions in January 2022. 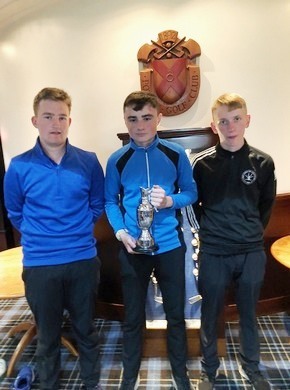 The above event was played at Pollok on Sunday 26th August and after a close encounter the winner was Mark Donaldson the Junior Champion of Sandyhills. The Runner Up was Murray McVicar of Glasgow Golf Club with Robbie Davidson of Cowglen finishing 3rd. Thanks to Pollok for giving us courtesy of the course which provided an excellent test after a wet morning.